Sleepless nights: Insomnia may be a sign of depression in autistic children. 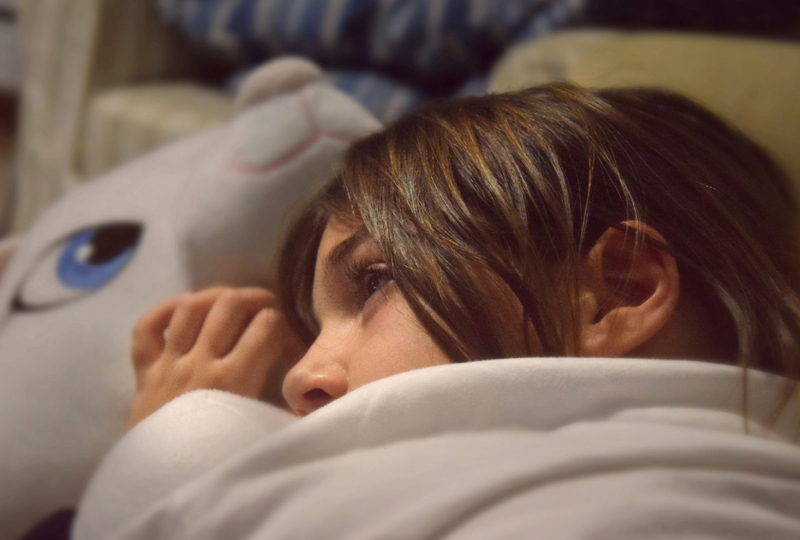 Depression may show up as insomnia and restlessness in children with autism, rather than as the more common feelings of sadness, a new study suggests1. Estimates of the prevalence of depression in autism range from 10 to 72 percent2,3. Still, a 2015 study found that only about half of autistic individuals who took their own lives had been diagnosed with depression, suggesting that their depression had gone undetected. Depression’s unique presentation in autistic people may explain why clinicians sometimes miss it, says lead researcher George Anderson, senior research scientist at the Yale Child Study Center. The results suggest that alleviating sleep problems and restlessness could ease depression in autistic children. “Restlessness and insomnia seem to be more important for understanding depression in kids with autism” than in other children, says Matti Cervin, a clinical psychologist at Lund University in Sweden. Anderson’s team analyzed data from 118 children with autism and 2,016 controls, aged 9 to 13 years and matched for intelligence; the autistic children participated in a training program for social skills in the Netherlands. All of the children, along with parents of the autistic children, filled out a 47-item questionnaire that assesses depression, anxiety and obsessive-compulsive disorder. The researchers flagged 34 (29 percent) of the autistic children for depression, compared with 267 (13 percent) of controls. They then used statistical techniques to look for links between 10 aspects of depression and 4 aspects of anxiety. The analysis connects aspects that tend to co-occur, such as insomnia and separation anxiety, and shows how often they show up together. Those with the most connections are likely to be the most central to a condition, and should offer targets for treatment, Anderson says. Overall, autistic individuals experience depression differently than most people do. Depression is also more closely tied to features of anxiety in autistic children than in controls. The researchers reported the results in February in the Journal of Autism and Developmental Disorders. Autistic children often have other problems that may underlie the way they experience depression, says Ailsa Russel, reader in the psychology department at the University of Bath in the United Kingdom, who was not involved in the study. For example, they often have attention difficulties, which may cause restlessness. “The analysis provides evidence of the additional difficulties autistic children are faced with,” she says. However, the results capture only what the children experienced at one point in time and do not offer clues to their mental state at other times, Cervin says. “To find a dynamic, you have to follow [these traits] over time and see how one thing affects another,” he says. The researchers are repeating the analysis with data from a long-term study of autistic children to see which aspects of depression emerge first.